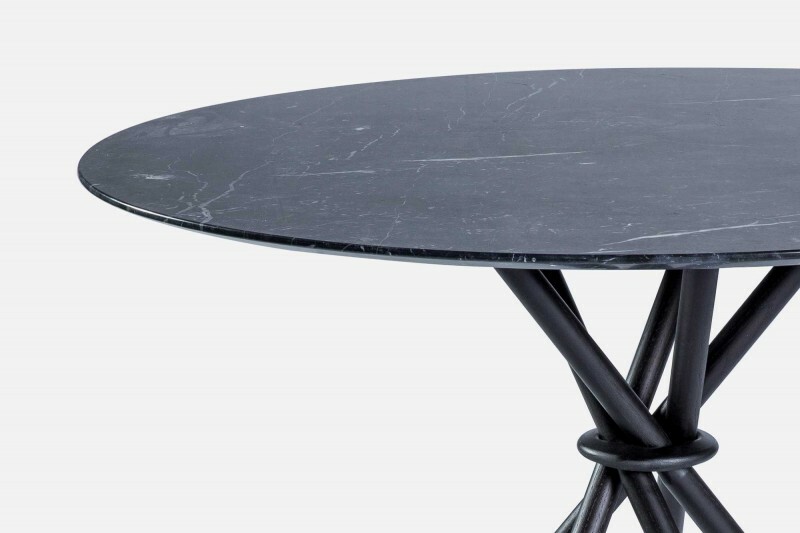 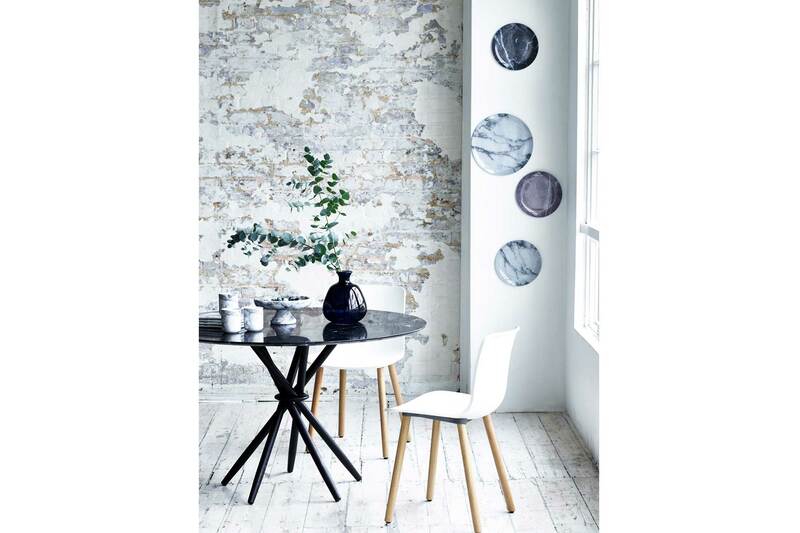 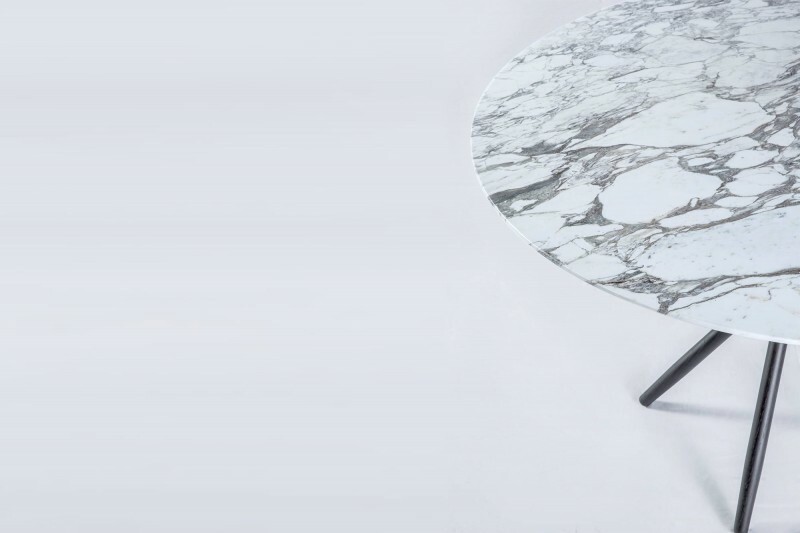 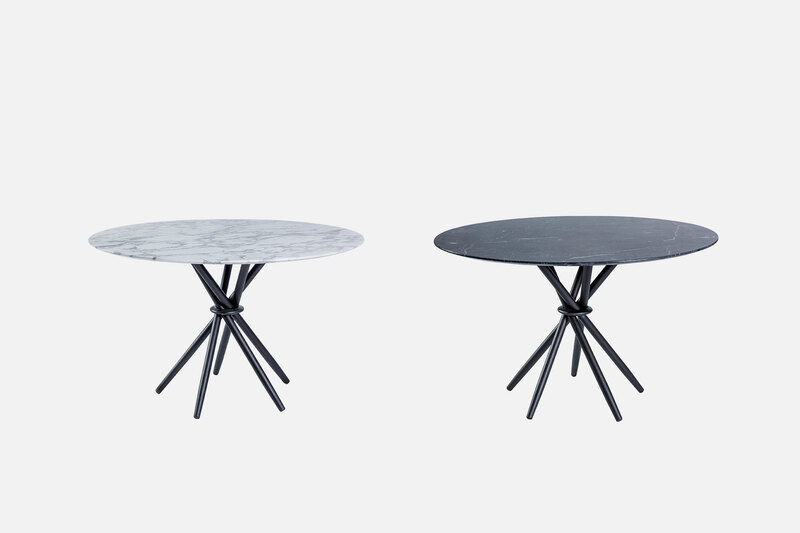 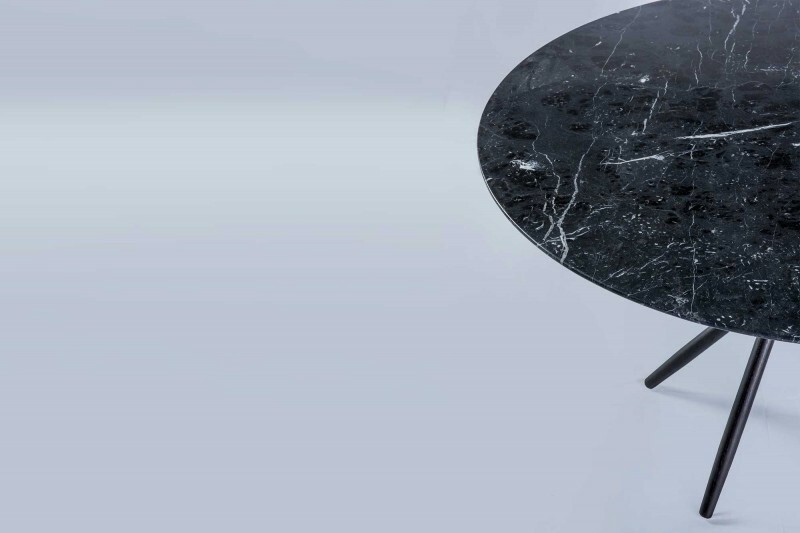 Stix is a series of pedestal tables beginning with a dining table which features a round table-top machined from solid marble. 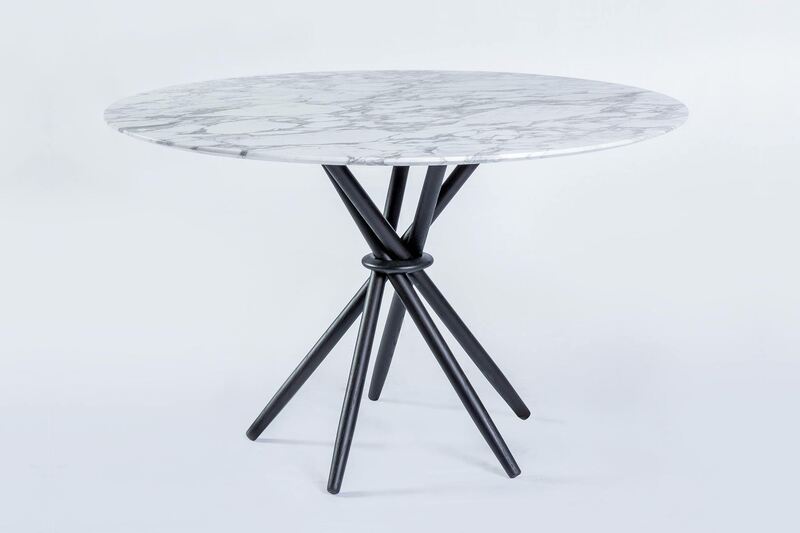 Five stained European oak legs are interlocked in this unique way creating a circular array of triangles.  The resulting structure is one of uncompromising style and stability.